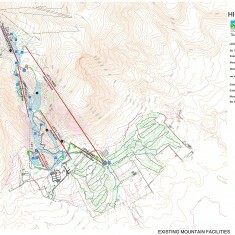 Niseko Higashiyama | Niseko Higashiyama | Ecosign Mountain Resort Planners Ltd. Client Citigroup Principal Investments Japan Co. Ltd. 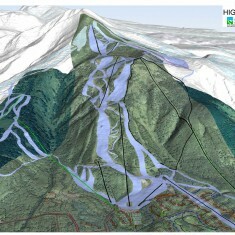 The Higashiyama Ski and Golf Resort is located on Mt. Niseko An’nupuri, a volcano, on the island of Hokkaido. The resort is accessible by a 2.5-hour bus ride from Chitose International Airport, near Sapporo. Travel time from Tokyo to Higashiyama is approximately 4.5 hours. International, direct flights from Cairns, Australia began in 2004, making it possible to arrive in Hokkaido with only a 7-hour flight. 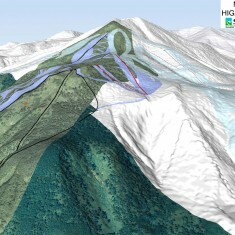 The size of the ski area and its easy connections to three other ski areas on Mt. Niseko make this resort area an international ski destination that has attracted guests from Australia, China, Korea and Taiwan. The existing ski facilities include a six-passenger gondola, three double chairlifts, three single chairlifts, a large restaurant in the base area and a mid-mountain restaurant. Other winter activities include cross-country skiing, snowmobile rides and snowshoeing on the golf course. The Prince Higashiyama hotel has 506 rooms, six restaurants, an onsen and extensive conference facilities. The Prince six-passenger gondola leaves from the hotel, which is a ski-in/ski-out location at the base of a beginner ski course. 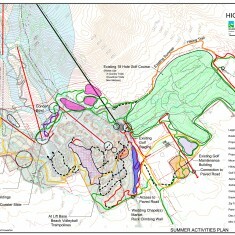 The base lands, including two 18-hole golf courses, have a total area of approximately 600 hectares. 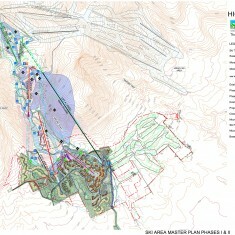 In January 2007, Citigroup Corporation commissioned Ecosign to prepare a Master Plan Alternatives report for Niseko Higashiyama. 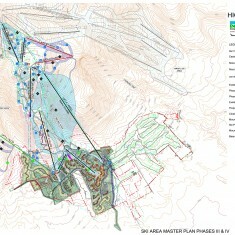 The tasks included analyzing the ski terrain and the existing lift system to find the best solutions for improved lift access and ski terrain expansion, improvement of the ski and lift connections to the neighbouring ski areas and to analyze the development capability of the base lands, on which to ultimately base the Master Plan document. The Master Plan was completed in June 2008. The final phase of development would include 13 new or renovated lifts. These lifts will have a capacity of 10,070 skiers per day with 61 ski pistes of 31.7 km. length on 157 hectares.